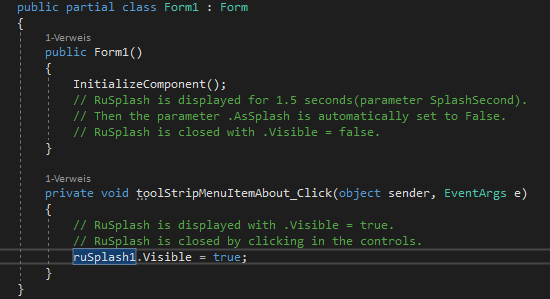 RuSplash is a control that is displayed for a few seconds when the application starts. The control can also be displayed if the user wishes to receive information about the application. 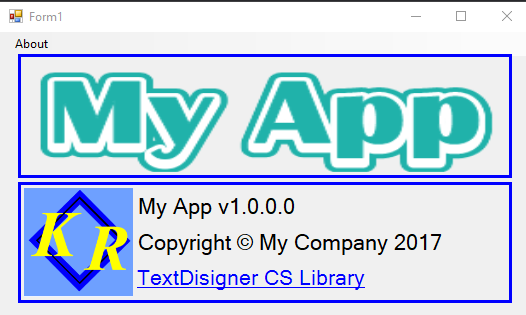 The special is the appearance of the application name as a Canvas bitmap. The properties can be used to adjust all displayed parameters. After installation, RuSplash appears in the Toolbox. After you insert the control into the Windows Form, the size can be adjusted. 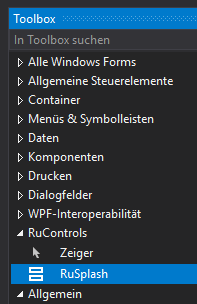 RuSplash is always displayed centrally. Little code is required to display.